You want your wedding to be a reflection of you and your soon-to-be spouse. You want everyone to have a great time. And, let’s face it, you want your guests to be impressed. We all want that. 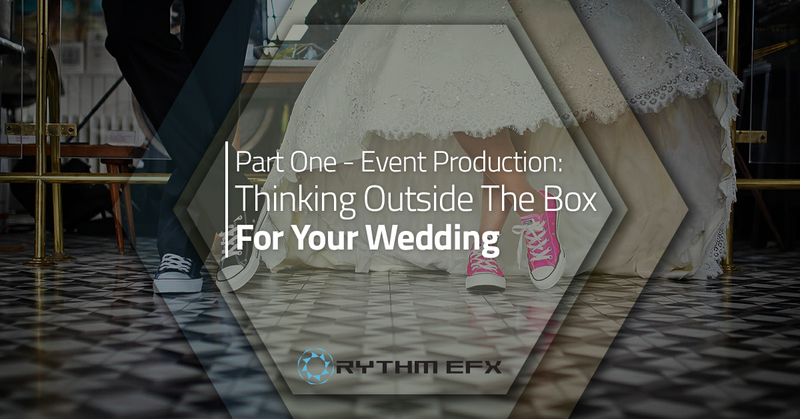 So, why not think a little bit outside the box and incorporate the unexpected into your big day. In this two-part series, we’re going to offer some of our favorite ideas for making your big day extra special. Whatever colors you’ve chosen for your big day, you can go well beyond table cloths, bridesmaid dresses, and flower arrangements to tie everything together. Imagine a ballroom awash with rose-colored ambient light so subtle that it’ll take your guests a while to figure out what it is that is so different and why they’re seeing such a fabulous rose-toned glow reflecting off every surface in the room. If subtle really isn’t your thing, imagine bright spotlights that are shining your chosen colors across the room, onto the ceiling, and on the tables. Want to create a truly one-of-a-kind look? Then go for waves of light and unique sculptures made of light. Using virtually transparent, flexible, LED displays, you can bend and twist your lights into any design you can imagine. We guarantee, it’ll be something your guests have never seen at a wedding before. Lighting is a great way to use color and texture to make your wedding truly unforgettable. If you can imagine it, the right event production company can make it happen. If you like bling like we do, there’s nothing better than adding a little pyrotechnics into the mix. Remember, we said that we’re thinking out of the box here. You can choose sparkling fountain fireworks to illuminate a nighttime exit from your ceremony, or to make a dramatic entrance at your reception. Got a DJ? Add a little unexpected blast of excitement to the mix and launch an extravaganza of pyrotechnics when they start playing that one song that’s meant to get everyone out on the dancefloor. Cool pyrotechnic technology means you can use this special effect inside or outside. When you’re having an outdoor evening reception, the effect can be particularly spectacular. You don’t have to worry about setting off a display near curtains, inside a tent or in any other situation where fire danger may be an issue, as long as you’re using the right technology. Choose the right special effects and event production company to make sure you’ve got access to the best cold spark technology. Your guests will be blown away. Well, what do you think so far? Do you think those suggestions are pretty far out of the box? We hope so. And, we hope you’re considering them for your big day. If your big event is scheduled anywhere near Denver or the Front Range, give us a call. Let’s set up a consultation to talk about your wedding, so we can get to know each other. We’ll fill you in on all of the awesome effects we can provide for your big day. Stay tuned for our next article. We’ve got more out-of-the-box ideas coming!